Today it’s easier than ever to build beautiful, well designed, high-converting e-commerce sites using WordPress. But with all of the beautiful design options. It can be tough to decide which theme designer is best, especially for your e-commerce store. On top of that, once you find the perfect theme designer, then deciding which theme to use gets even more tedious. So today I want to help you with this and save you a lot of time and research by introducing you to one of the best-known designers in the marketplace called StudioPress. More importantly, StudioPress has some incredible e-commerce designs that will work well with all kinds of stores, big or small. But with that said, not all themes from StudioPress are created equal below. I am going to introduce you to a few of the best StudioPress themes for your e-commerce store.So let’s jump right in! First of all, when you go to StudioPress theme pages, you can select “e-commerce” as one of the categories to sort by. You will noticeably have plenty of themes to choose from. The reason I picked the themes below as being the “best” themes is they are easy to use and their initial e-commerce setup and adding of products is very simple. Some e-commerce sites get too cluttered with code, and it can affect the page load time, therefore, decreasing the user experience. Also, you can’t forget that your site must be search engine friendly so having clean URLs is vital.With that said, StudioPress was very brilliant in creating a customized framework for all of their themes to work in. One of the most important things to take note of with all of the themes that StudioPress created is that they are the creator of the Genesis Framework, probably the most well-known framework used in WordPress. In addition to the fantastic search engine optimization that comes built into the Genesis Framework, it now comes with Schema.org code, which allows you to output your microdata in your site’s code. When you get the chance, you can see some of the websites that have been created using the Genesis Framework by viewing StudioPress showcase page. You can also read this great review written by Winning WP on StudioPress in general and why the Genesis Framework creation was a game-changer for the industry. 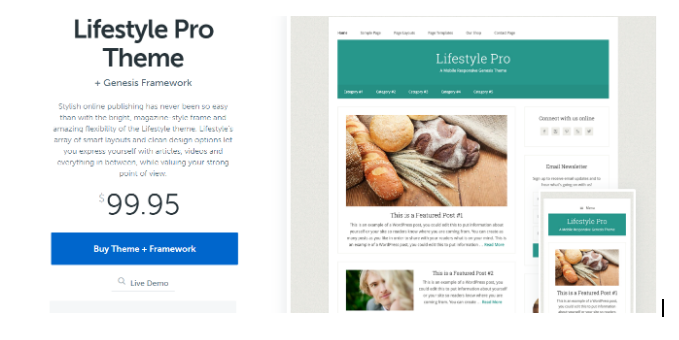 Lifestyle Pro Theme is nice if you are in the publishing industry and you’ve got lots of content that you publish on your blog or website. It’s described by StudioPress as a “magazine” style layout for your business. StudioPress also shows you different live websites using the Lifestyle Pro Theme, which is a nice feature so you can get some ideas on how to use the features. For full details on the theme package click here. Parallax Pro is designed to tell your story through a beautiful visual layout that’s clean and easy to read. It divides the content into sections, but still keeps that vital connection between each of the parts. You can customize this theme’s header, colors, general settings, and homepage widget areas. It is mobile optimized, uses HTML5 markup, and is set up to integrate with WooCommerce already. 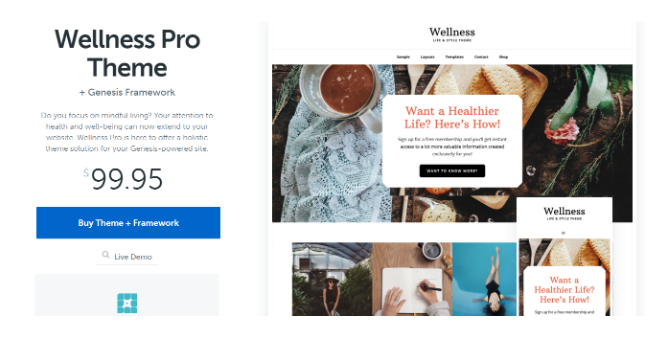 The Wellness Pro Theme is perfect for you if you have products to offer centered around a holistic and healthy lifestyle. 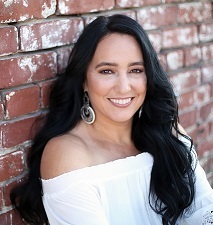 If you’re selling any wellness products or t-shirts that focus on health and wellness, this is a perfect theme for you to build your online store. Read the full details click here. Even though Jessica Theme is considered a 3rd party theme, it still uses the Genesis Framework technology which StudioPress created, so I’m including it here on my list. It is specifically designed for e-commerce and says so right on the description. Mai Lifestyle Pro is another 3rd party designed theme that works wonders due to the Genesis Framework technology developed by StudioPress. If you’re a food blogger or focus on recipes, this would be a great site for you. Smart Passive Income Pro is a neat and clean theme designed for service-based businesses. The design, content, and strategic layout of this theme is amazing and will drive sales no matter what type of industry you are in. Customizable theme options, header, and background images, etc. Altitude Pro is another one of my favorites due to the smooth parallax effect and powerful, eye-catching visuals. This is another theme you can use if you’re selling digital marketing services or anything in the service-based industry. Customizable theme settings, header images, content, background images, etc. You can see real live examples of Altitude Pro in action through the StudioPress website. Digital Pro Theme is a great theme for marketing your digital marketing services. It has a lead capture form right on the homepage of the design, which helps grab new prospects to start doing a drip email campaign to them. Essence Pro is a fantastic design that was designed for health and wellness businesses. It has a beautiful, clean layout that keeps it simple and easy on the eye. For full theme details click here. 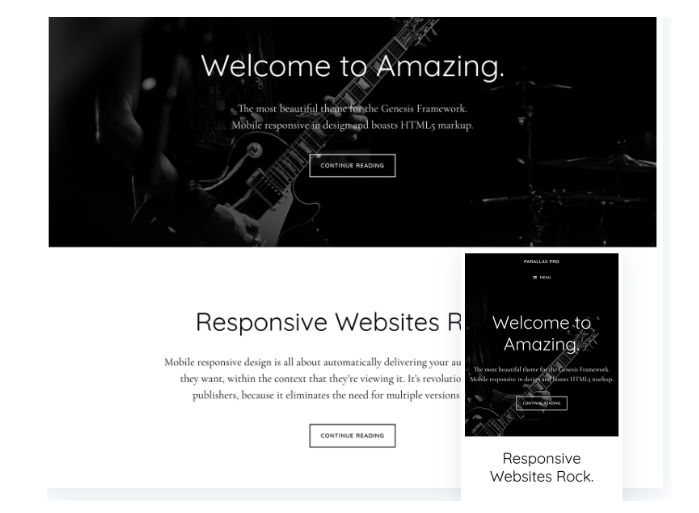 Authority Pro is a simple, clean design that helps bring out your talents and expertise right on the home page. For a detailed list of features click here. If you are a marketing or advertising agency, you are doing to love the Breakthrough Pro Theme by StudioPress. It allows you to display the work you’ve done and then you can add an e-commerce shop on any page of the site that you would like. For more details on this theme click here. Here’s another 3rd party designer but I just had to mention this one because I currently use this for one of my blogs and I love it! It’s very easy to use and manipulate in the user interface. The Daily Dish Pro Theme by StudioPress is a beautiful site designed to showcase your main product right on the home page. StudioPress describes it as showcasing the most “appetizing dish at your favorite 4-star restaurant”. This is a newer theme design by StudioPress. You can view some of the live sites that are using this theme by click here. The Author Pro Theme is for writers to help them showcase their projects online. With this theme being e-commerce ready, you can sell ebooks with ease and other works that you have published. You can view some of the live sites that are using this theme by clicking here. For full details on this theme you can click here. The Monochrome Pro Theme is a minimalist theme that is simple, clean, and sleek. ‘StudioPress’ emphasizes in their description that “if having a visually-strong digital presence and an easy-to-use site are equally important to you,” then the Monochrome Pro Theme is the one you’ve been waiting for. Always remember that marketing your new e-commerce store is essential and search engine optimization is part of that equation. As I mentioned up above, page load time is crucial when trying to rank your ‘StudioPress’ e-commerce site on Google. If you need an easy to set up, user-friendly e-commerce store design, ‘StudioPress’ e-commerce themes are the way to go. There are several other themes that I didn’t mention in this post, but you can always go to ‘StudioPress’ and check out their e-commerce themes and find the one that fits your needs.